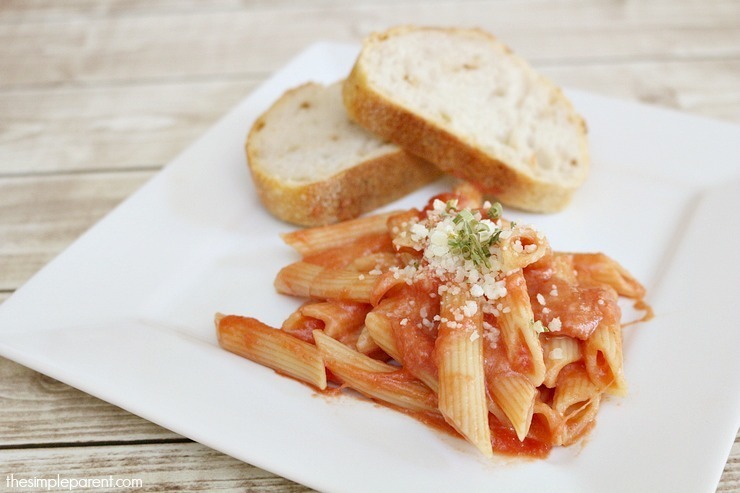 This one pan pasta dinner recipe is a conversation written by me on behalf of Barilla®. The opinions and text are all mine. I have to admit that I thought that our lives would be pretty mellow until Weston started kindergarten. Then I knew with school and after school activities, things would start to get really busy. Well, that time has arrived earlier than I planned! With the start of baseball season and Weston’s first organized sports experience, our evenings have a lot going on! That means I’m on the hunt for even more easy dinner ideas for my family. 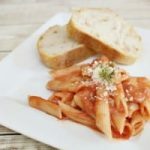 This week we made a cheesy pizza one pan pasta dinner that was so easy and so delicious! 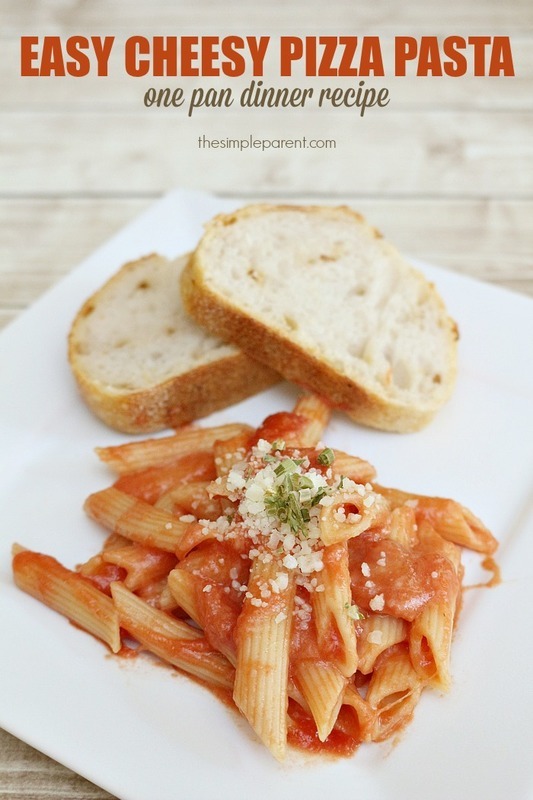 Pasta is usually a good option for quick family dinners that I know even Carrigan will enjoy. 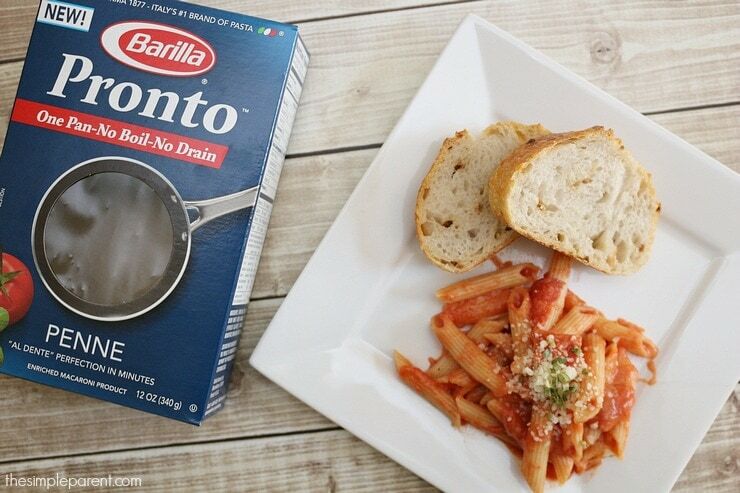 But this one pan pasta dinner recipe took pasta and made it even easier with some help from Barilla® Pronto™ Pasta. With baseball practice starting at 5:30pm, quick and easy is the only way I get a dinner on the table for my family before we head out for the evening! Pronto™ caught my eye when I spotted it on the shelf at Kroger when we were grocery shopping. It helps make pasta prep faster and easier because there is no need to wait for the water to boil. And there’s no draining either! The whole meal is prepped in one pan and ours only took about 20 minutes from start to finish! 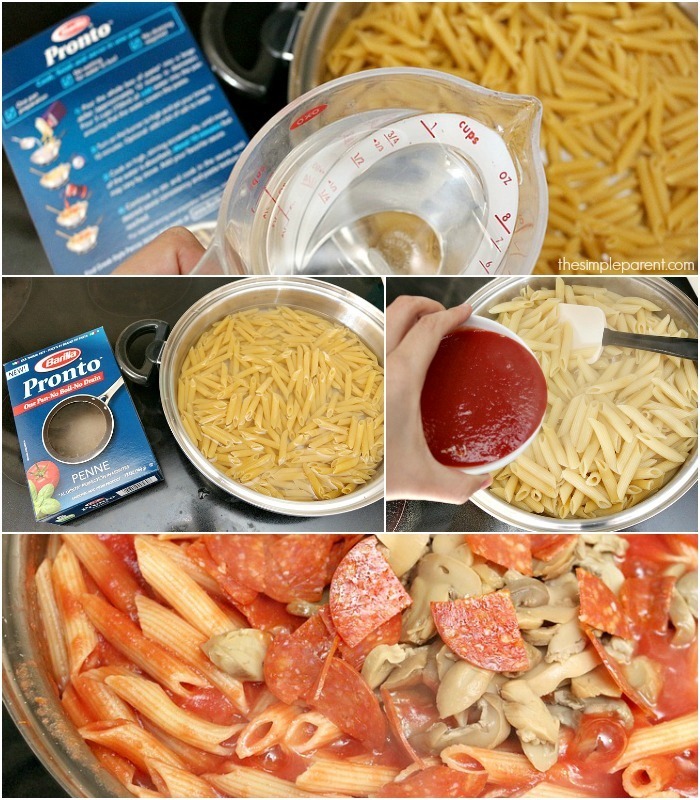 Pour box of pasta into a large skillet. Add three cups of cold water (or enough to cover the pasta). Add pinch of salt if desired. Heat on high heat for 10 minutes or until most of the water is absorbed by the pasta. Add pasta sauce and continue to heat through until you get the desired thickness of sauce. Add remaining ingredients and stir. Allow heat to melt cheese then remove from heat. 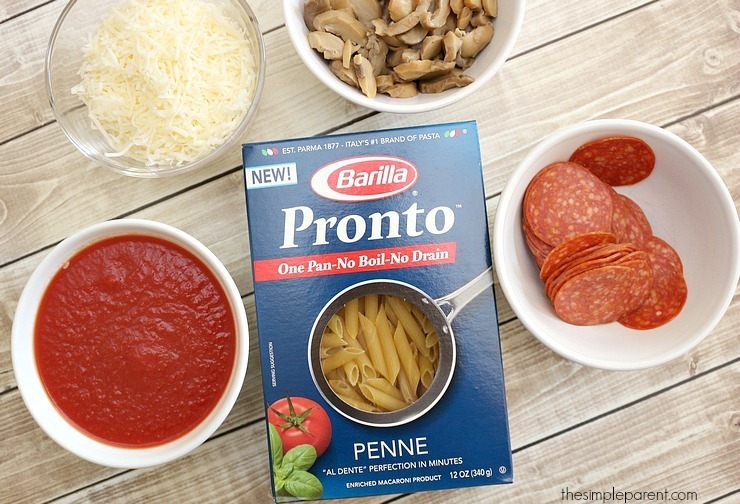 The great thing about Barilla® Pronto™ is how easy it makes it to customize your meal! You can make it your own by adding your favorite sauces, seasonings, vegetables, and proteins! Find it the pasta aisle at your local Kroger store! Family dinner just got even easier and it couldn’t have come at a better time for our family! I’m pretty sure we’re not the only busy family right now! Here’s to hoping everyone has a great fall season with the family!